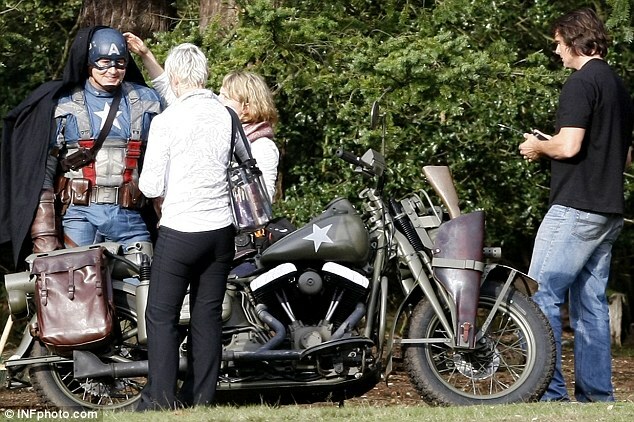 Important to note: That is NOT CHRIS EVANS who is the lead in the upcoming THE FIRST AVENGER: CAPTAIN AMERICA but rather a stunt double. 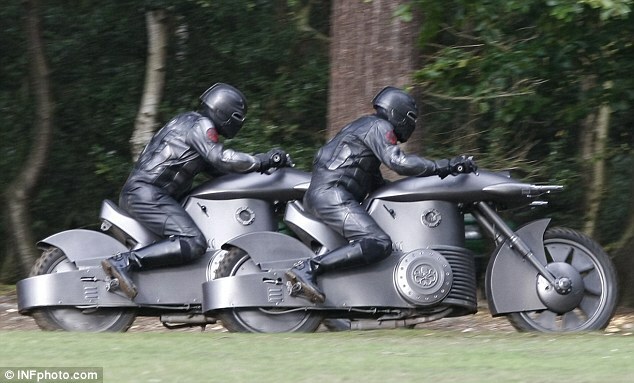 Being chased by agents of the primary film villian THE RED SKULL and/or agents of H.Y.D.R.A. – there is non-unanimous confirmation as to exactly who they are. Early still from 'THE FIRST AVENGER: CAPTAIN AMERICA': Either agents of the primary film villian THE RED SKULL and/or agents of H.Y.D.R.A. Also: A glimpse of JANUARY JONES as EMMA FROST from the upcoming ‘X-MEN: FIRST CLASS’. 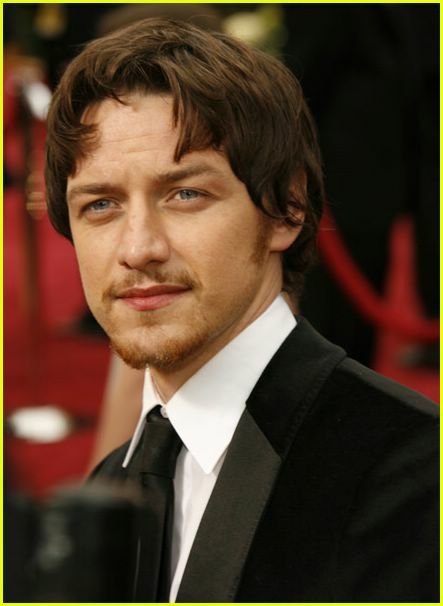 James McAvoy (ATONEMENT, WANTED) has signed on to play a young Charles Xavier, aka Professor X, in “X-Men: First Class,” which Matthew Vaughn is directing for Fox. [Film director and producer Timur Bekmambetov confirmed] that in the sequel he would bring back to life Angelina Jolie’s character, who perished at the end of the first movie. Evan Spiliotopoulos… has been hired to write Universal’s action sequel “Wanted 2,” based on a story by Chris Morgan. “Wanted,” which starred Angelina Jolie and James McAvoy, grossed $339 million worldwide.